You may remember my post on Saggars and some of my results. 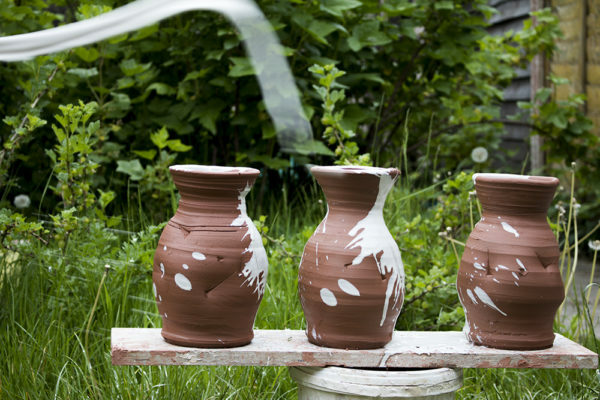 I really want to talk a bit more how these wobbly pots are made. 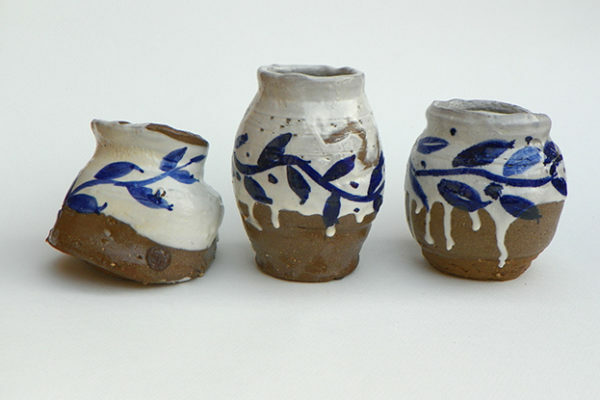 It was when this wonky pot gained traction on instagram and ended up going to live in Portugal I decided it was time to make some more wonky pots. 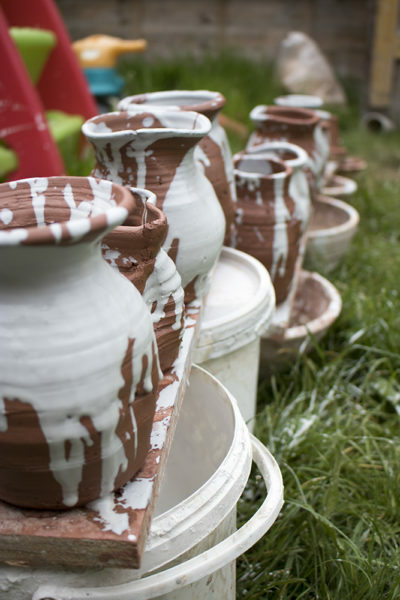 Naked wobbly pots awaiting their decoration. 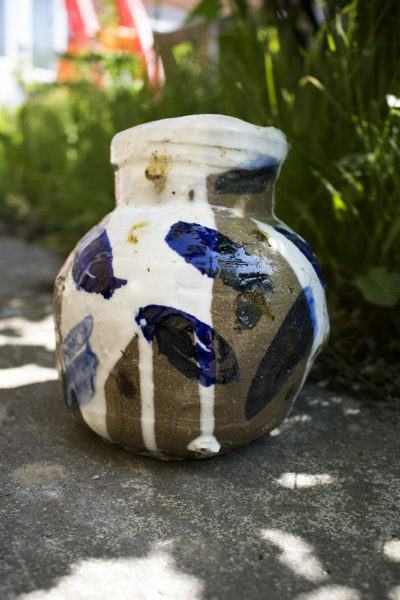 They are made from a secret stoneware earthenware blend with some iron oxide added for effect. They were thrown loosely and then treated to a beating with a piece of 2 by 1 that was in the workshop. 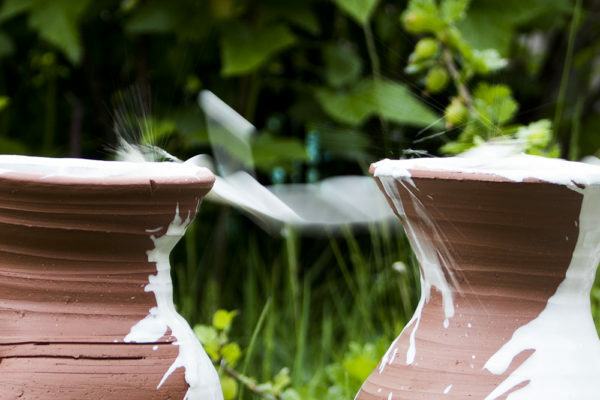 A stream of porcelain slip launched towards the wonky pots. I fill a cup of slip and fling it as hard and fast as I can. the splash is so violent there are still particles of slip in the air. 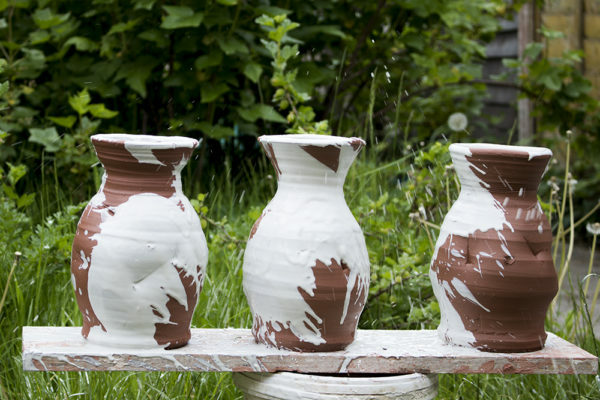 Another batch of wonky pots all slipped and drying in the garden. 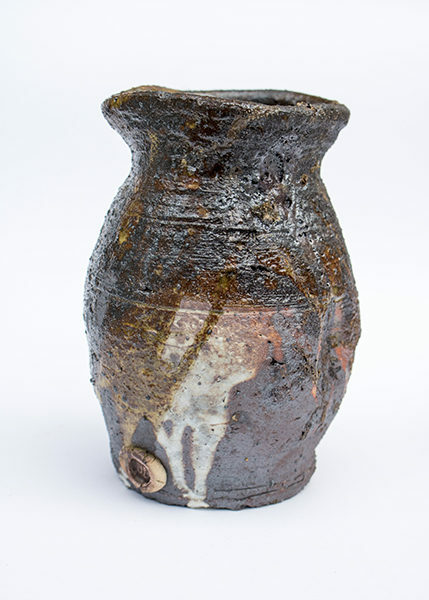 Not all my wonky wobbly pots are saggar fired these days, this was fired next to the saggar and has gone to live with the amazing Lighthearts in Brum whom I owe a lot to. I really love to make these, and I really want to make more, I don’t care about function with this form, I just want to create something different. In fact I want to make them more wobbly, wonky and uncontrolled. 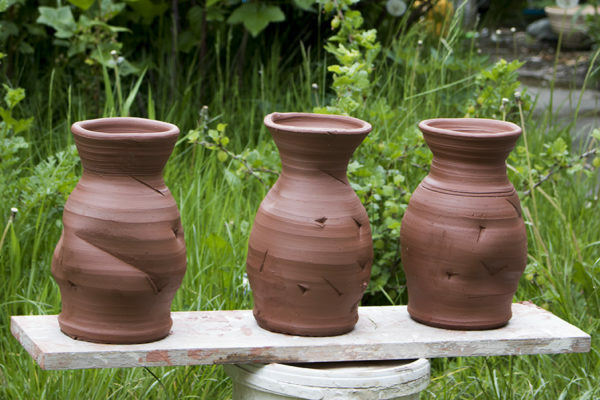 I don’t make anything simply and I need more iron oxide and terracotta to make another batch of wonky pots. 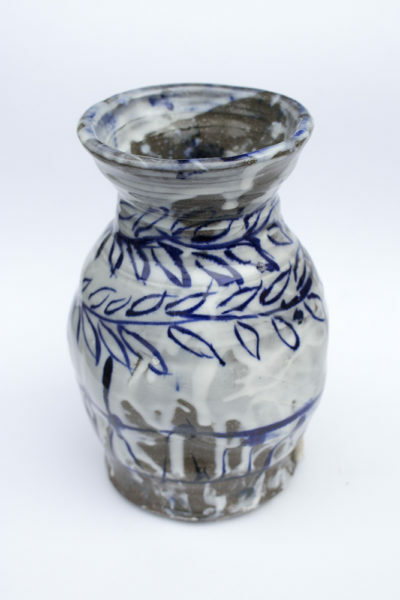 I want to know as an audience if there is anything you want to see more off from my pottery videos or blog articles? Please just let me know in the comments below. 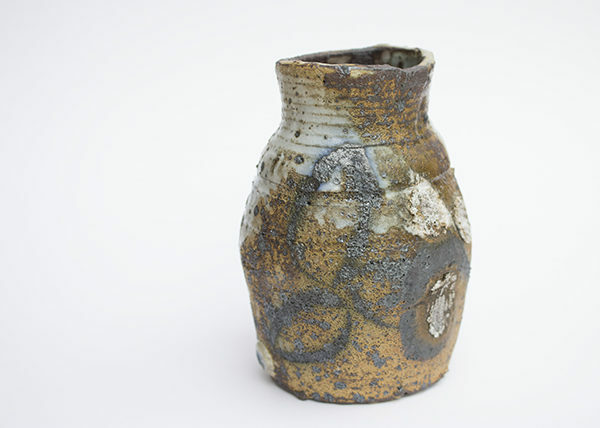 This entry was posted in experimental firing, Learning, Slip and tagged ceramics, clay, earthenware, film making, hands on thinking, making, Michael Kline, porcelain, pots, pottery, red fox pottery, Slip, stoneware, terracotta, The Potters Cast, wobbly, wonky, wonky pots, youtube, Zed Lightheart. Bookmark the permalink.